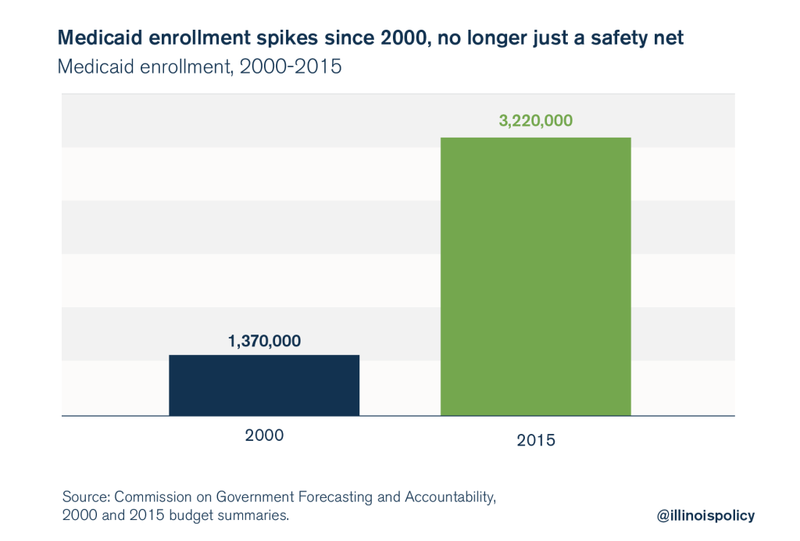 Spending on Medicaid has increased 141 percent since 2000, compromising other programs that help the needy. 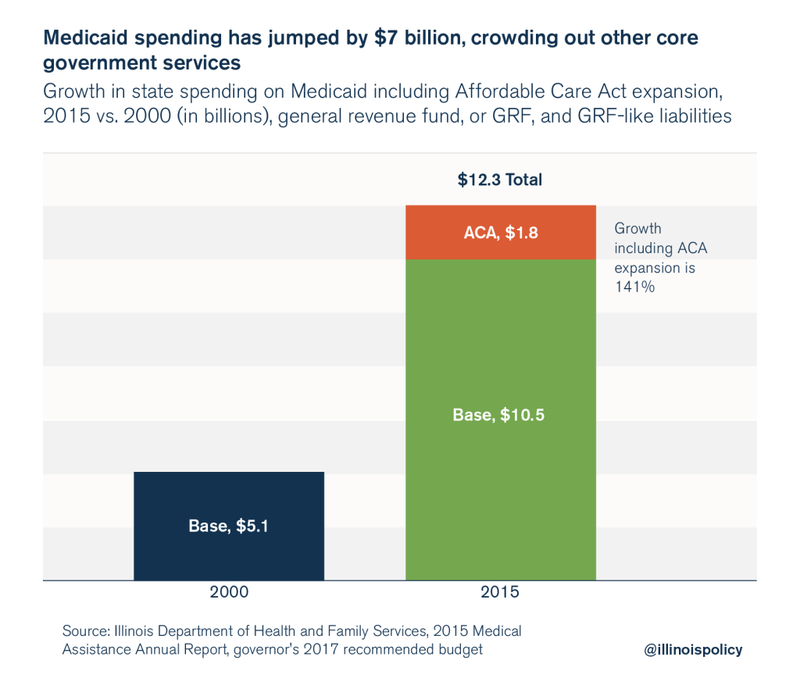 When compared with spending in 2000, those GRF and GRF-like Medicaid expenditures have grown by 141 percent – far more than the growth in tax revenues and spending on other core services. By contrast, general fund state spending on human services is up just 10 percent over the same period. Spending on K-12 education is up just 35 percent. Higher education spending is down by 8 percent. 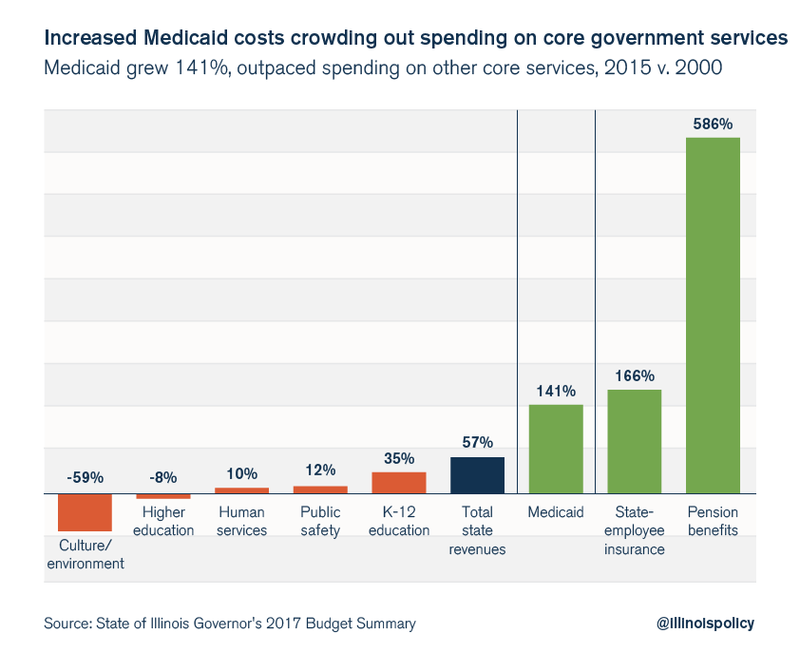 The bottom line is, unless Springfield reforms its core spending drivers, the costs will swallow up more and more of Illinois’ general budget. And contrary to many politicians’ assertions, tax hikes are not the solution. Revenues have never been a problem in Illinois: It is costs that are growing too fast. State per capita tax revenues have grown 70 percent more than inflation over the last 33 years. Any tax increases will put additional pressure on overburdened taxpayers – encouraging them to seek opportunities in other states. The state’s financial crisis will cease only when politicians are brave enough to say no to the status quo – and that means structurally overhauling Illinois’ budget by passing comprehensive spending and economic reforms.